On March 2nd 2016, I will be upgrading Choice Eliminator to Choice Eliminator 2. After the update all active forms will need to be reconfigured before they will work again. 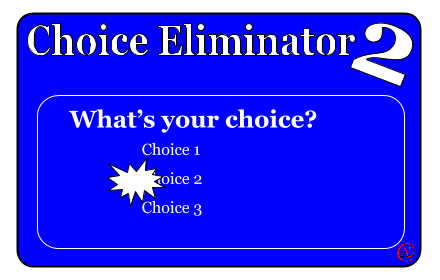 Choice Eliminator 2 is a complete rewrite from the ground up. It now uses the results sheet to calculate the items to be eliminated. This makes calculating the eliminated choices more reliable, allows you to set the order of the choices, set limits, and restore eliminated choices.